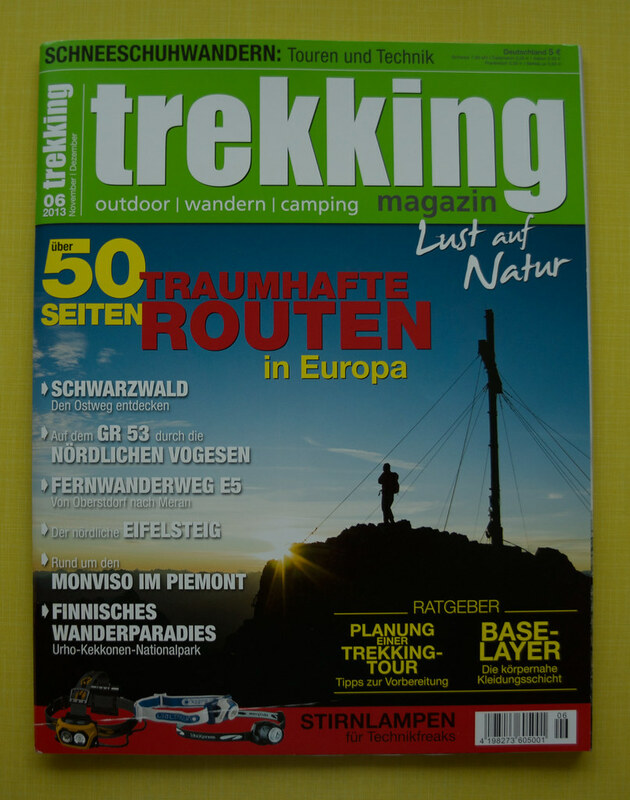 The latest issue of the trekking Magazin is since last week Friday on the shelves and includes a host of great trip reports and articles about hiking & backpacking, including three articles by yours truly. I also enjoyed reading my friend Martin’s Iceland traverse, the E5 adventure between Meran and Oberstdorf and the Eifelsteig story, though there’s certainly more in there, accompanied by great writing and photos. 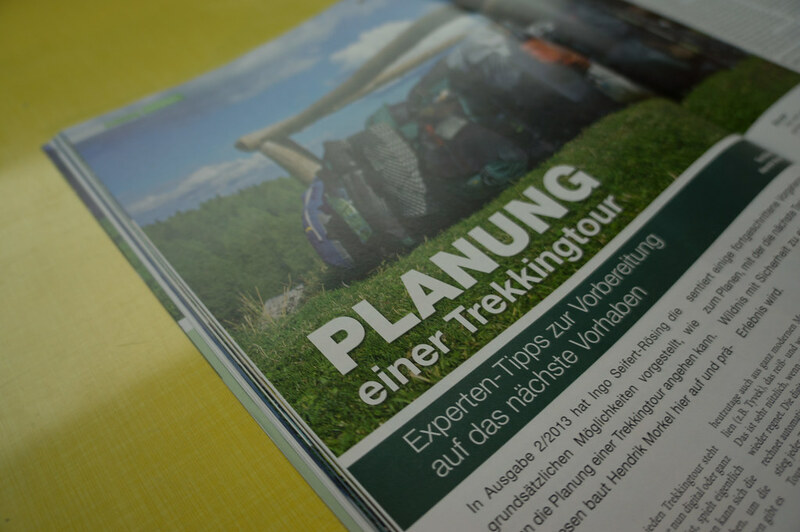 In my opinion it currently is the best outdoor magazine for hikers & backpackers on the German market, but then I’m biased =) If you can read German and haven’t checked it out yet, take a stroll to your next Kiosk to pick the current issue up, take out a subscription or order a free review copy. If you have read my articles, I’d be very grateful to hear your feedback! Just Email me your thoughts.